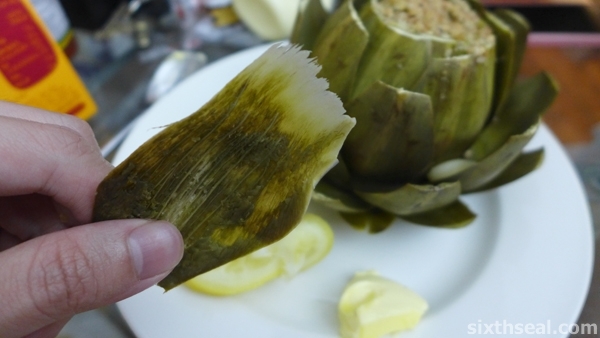 Stuffed artichokes are actually quite easy to do once you’ve prepared the artichoke. 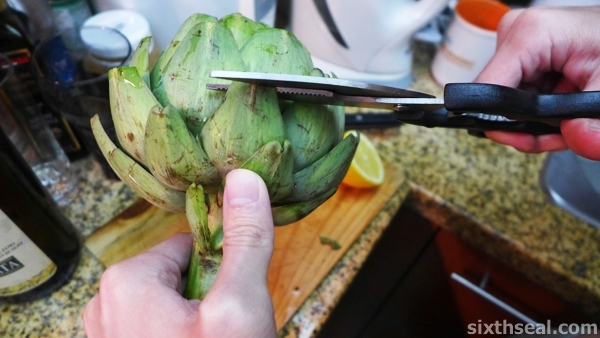 The cutting of thorns and getting the choke out of the artichoke is the difficult part. 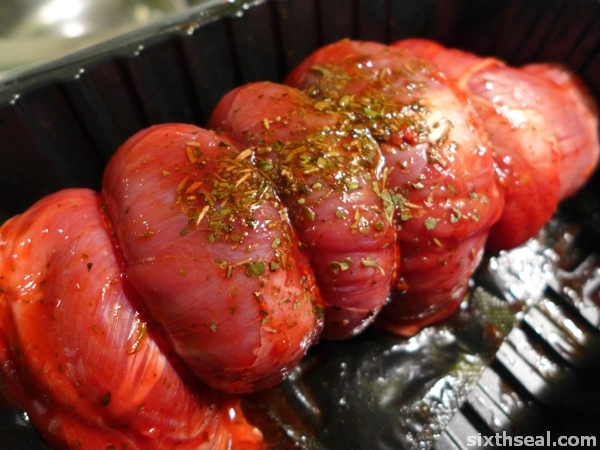 Now you just have to stuff and cook it! 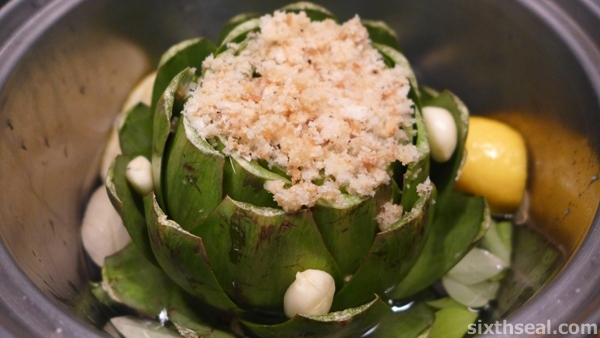 Artichokes can be eaten just steamed/boiled with butter and that is a fine way to eat it. 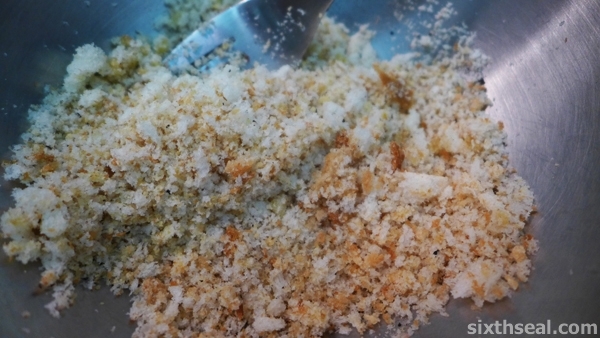 You want the consistency of the stuffing to be slightly moist, so what I did was to pour the breadcrumbs into a bowl and then mix in the rest of the ingredients, slowly adding olive oil until it’s slightly moist. 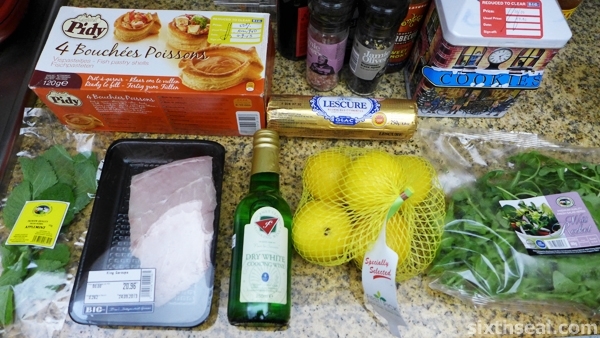 If you’re wondering what lemon zest is, it’s the peel of the lemon that’s been grated. I know, I just found out too. 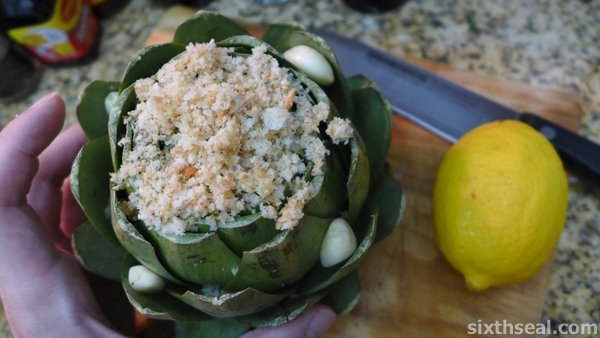 Stuff the inside of the artichoke with this prepared stuffing and also get the stuffing into the petals at the side so it’s even. I also added some whole garlic into the petals coz I heard it undergoes a transformation that makes it delicious (it doesn’t). 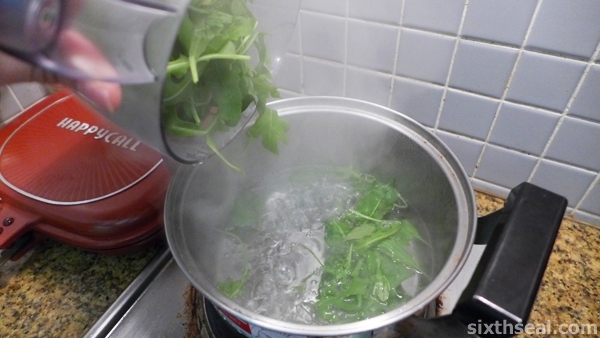 Next, I prepared water that goes about 1/4 up the height of the artichoke and saturated it with basil leaves from our own herb garden. 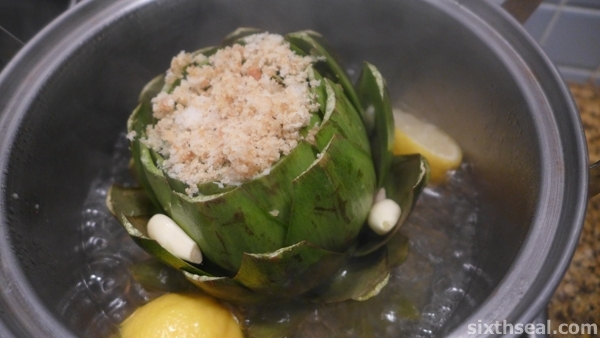 I put the stuffed artichoke in the basil filled liquid (make sure it’s *standing up*) and squeezed one (1) whole lemon all around it before throwing in the lemons. 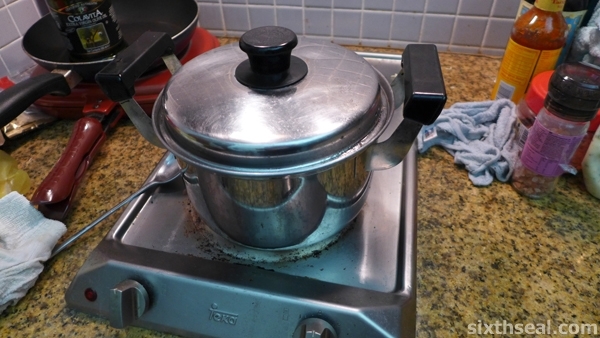 The pot is put on a slow boil with the lid on for about an hour. 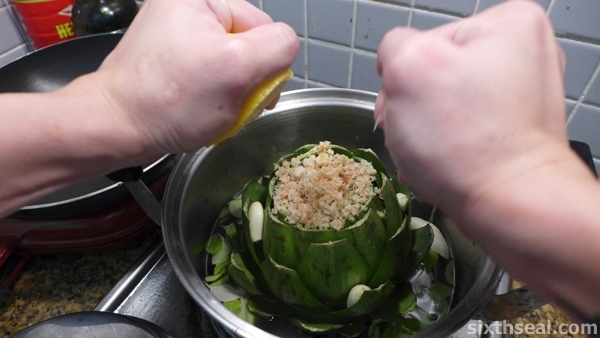 Mine was a fairly huge artichoke so it took me about 1 hour 15 minutes. 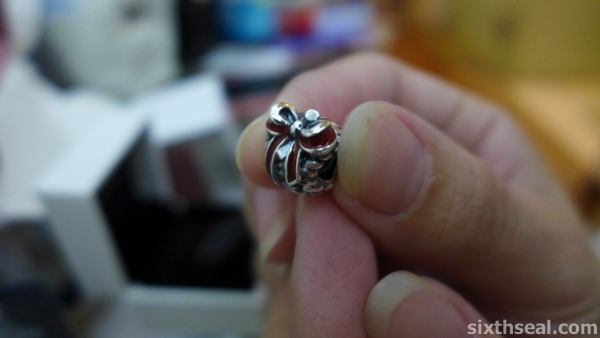 You’ll know it’s ready when the petals are tender. …and dabbing it in butter before squeezing the good stuff out with your teeth. 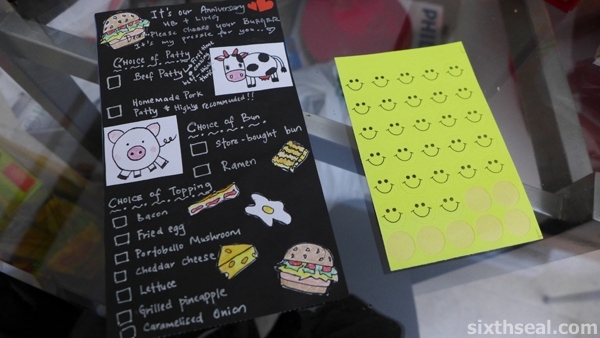 This is actually quite a fun way to eat! 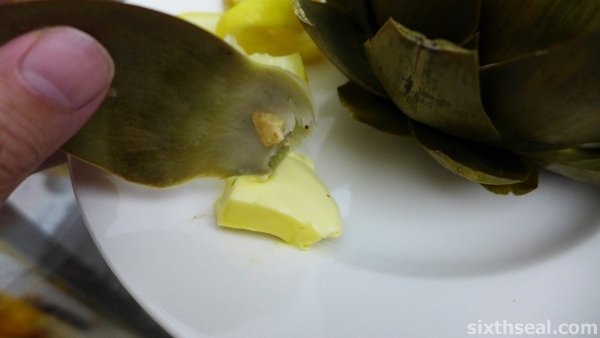 You have to grip the artichoke petal between your teeth with the fleshy end down (the part you peel from the artichoke) and pull it through your teeth! 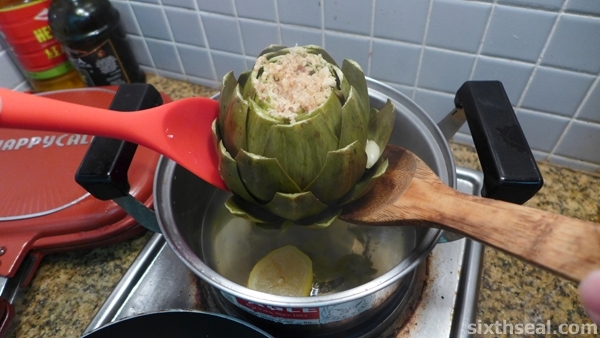 I had a lot of fun doing this step-by-step guide to cooking and eating an artichoke. 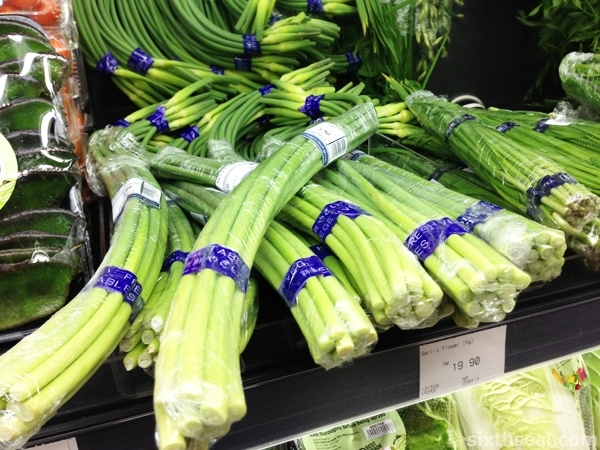 It’s an unusual vegetable which a lot of people avoid due to the difficulty in preparing it. 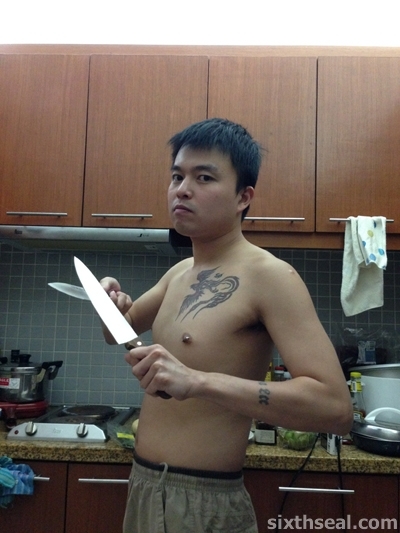 It’s actually not that hard, you just need a sharp pair of kitchen scissors and *a lot of lemons*! 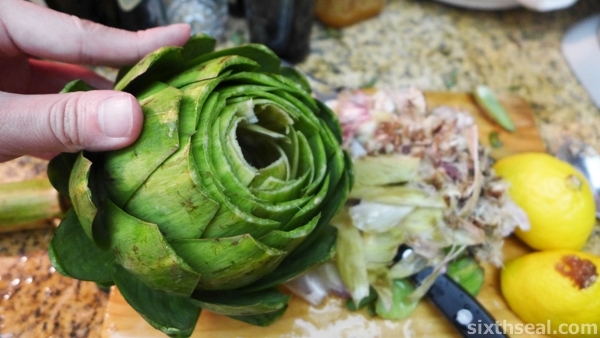 The first one is to snip off the spines of the globe artichoke and the latter is to prevent the rapid oxidization (artichokes almost turn immediately brown when you cut into it). 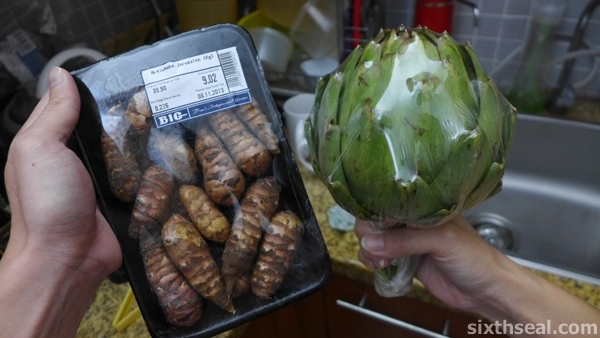 The artichoke we got cost RM 24.69. 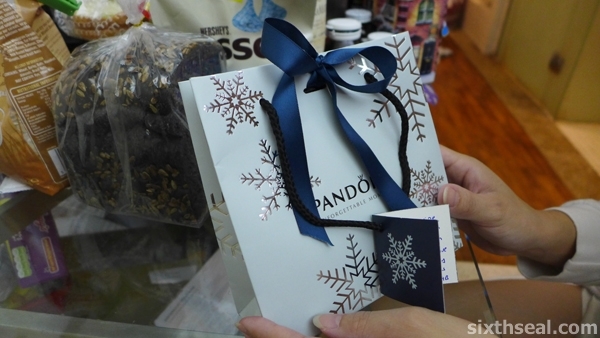 It’s RM 45.90 per kg and I calculate that each petal costs over RM 1! 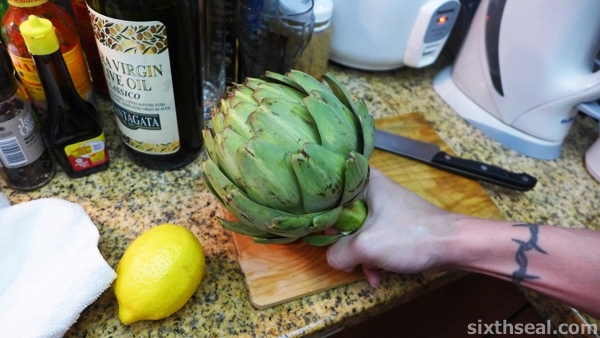 That’s coz the grocery sells the artichoke with a huge stem (which you can’t really eat). 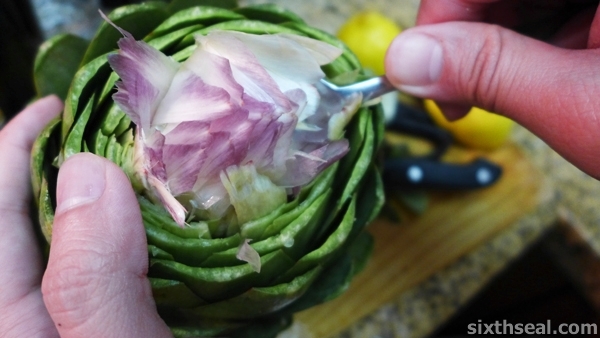 The first thing you do is to snip off the sharp spines in the individual petals on the artichoke. 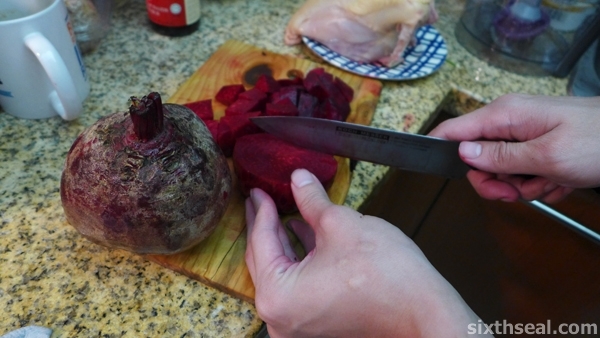 Just use your kitchen scissors to cut it off so a flat edge is formed. You will need to squeeze lemon juice (or rather dip the lemon half into the cut petal) as soon as you snip the thorns off. 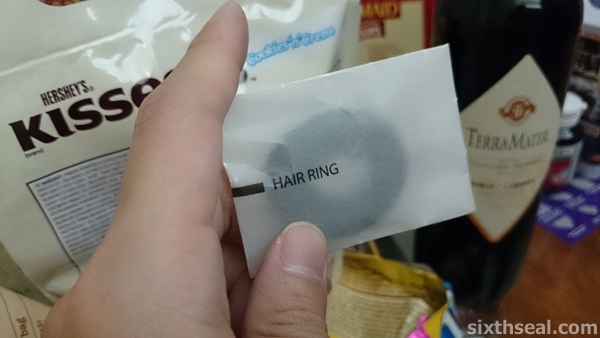 This is to prevent it from turning brown. Get those lemons ready!!! 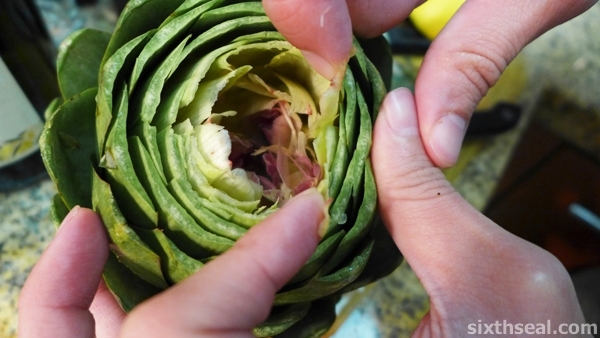 Once you have worked over the entire green artichoke and removed all the thorns, it’s time to cut off the stem. 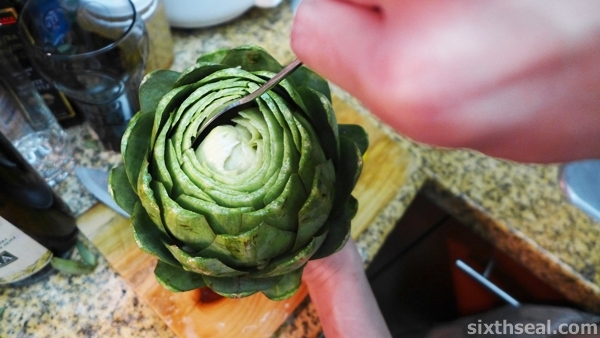 You need to get the stem level to the artichoke or about 1 inch from the end, depending on the recipe. I think the stalk on my artichoke was a good 3-4 inches. 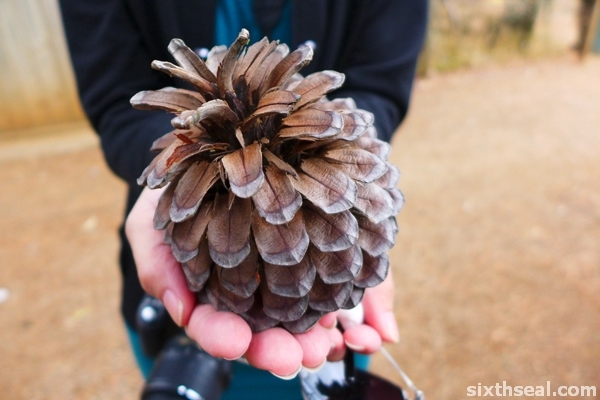 It makes it look pretty, like a flower, but most people don’t eat the stem. 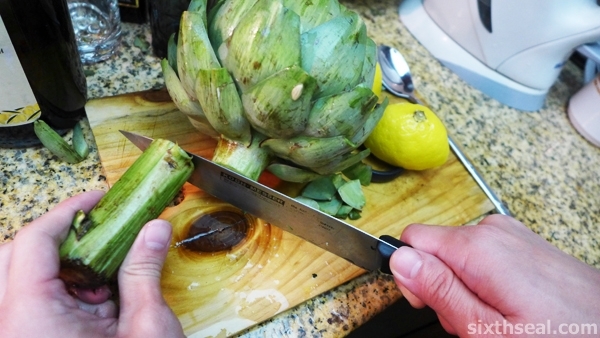 Now that everything is done, you need to remove the choke in the artichoke – use a sharp knife to slice 3/4 of an inch off the top of the artichoke. 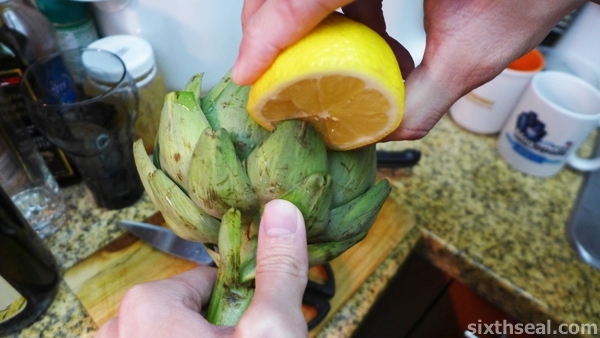 Remember to squeeze lemon juice all over the artichoke when you do this to prevent oxidization. 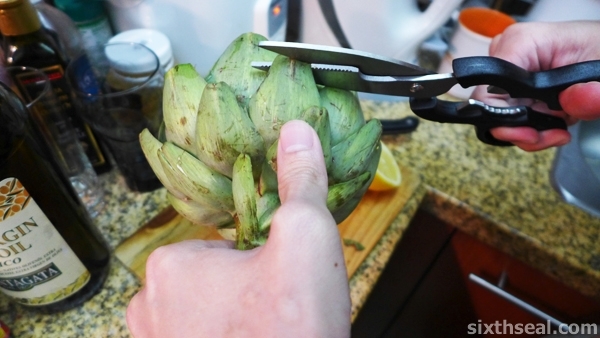 The next part is where your study metal spoon comes in…you need to use it to dig into the artichoke so you remove the choke. Think of it as using the spoon to eat a particularly hard frozen iced confectionery. That’s the same motion you should be using. Dig down and remove! 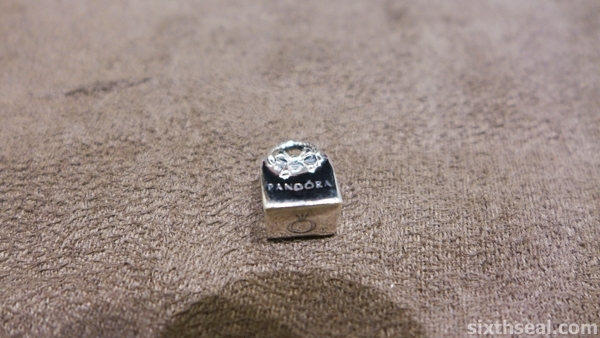 Some people can remove it with one dig but I never could. 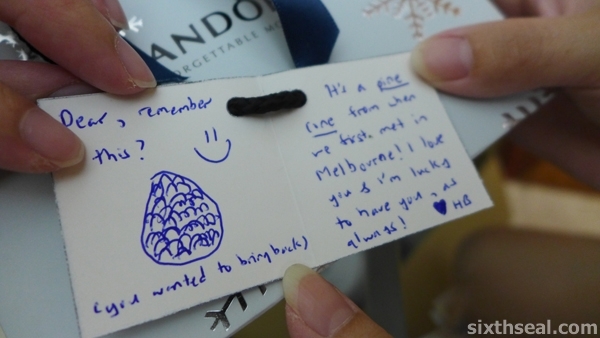 That’s not important, the important thing is to get the entire choke out since that’s totally inedible. 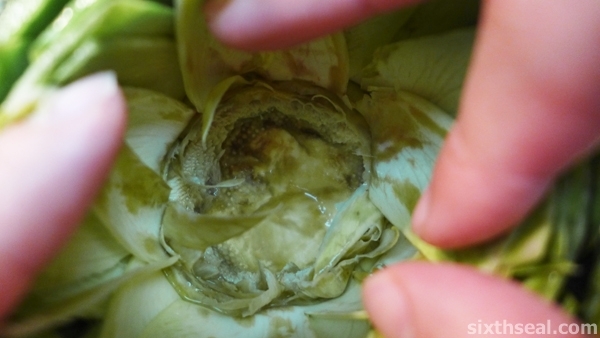 It’s the pink/purple interior of the artichoke that comes with fibres that looks like asbestos. I’m kidding, I don’t know what asbestos fibers look like but I imagine it’s similar to these! 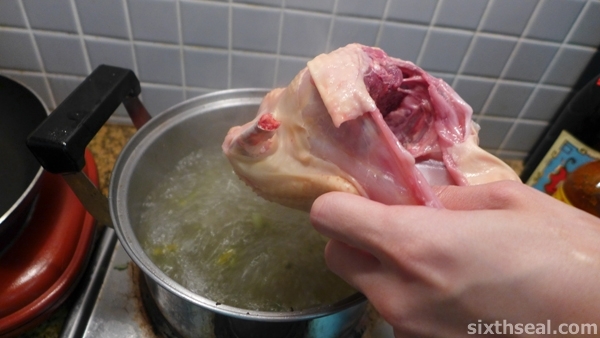 It’s almost feather like to the touch and you have to remove every single bit of the choke. 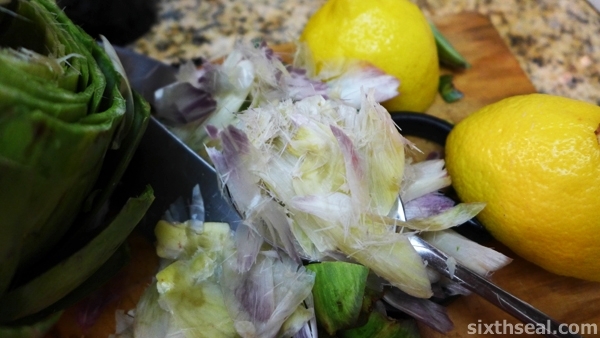 Make sure your artichoke is clean and free of the choke by a simple visual inspection (you can leave the heart in – that’s edible) and it’s ready to cook! 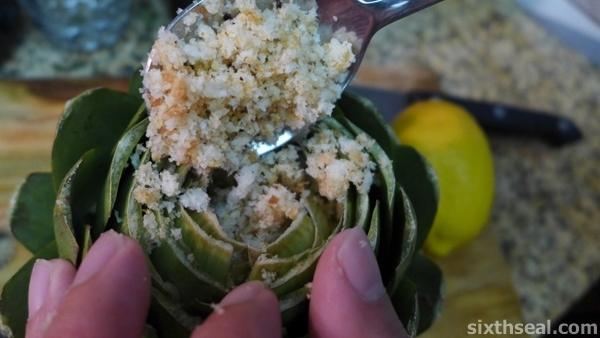 You now have a clean artichoke! 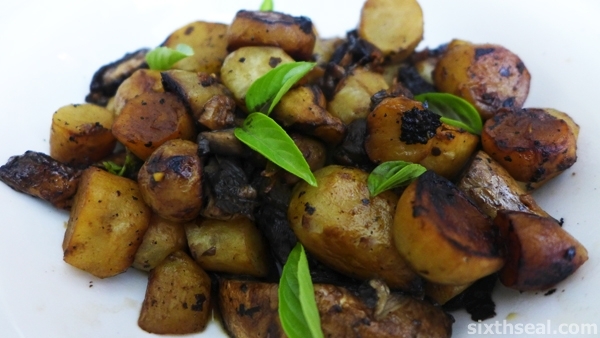 Jerusalem artichokes is a bit of a misnomer. 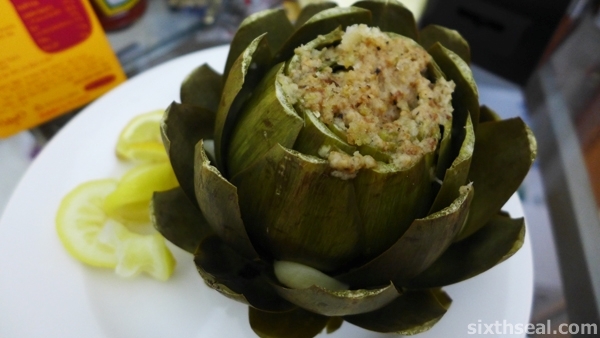 They’re neither artichokes nor do they hail from Israel. I heard the name “Jerusalem” comes from the Italian word for sunflower – girasole. 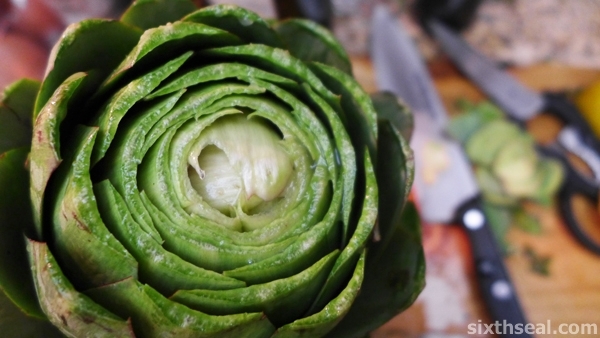 This vegetable belongs to the sunflower family and it’s a small, lumpy, brown-skinned tuber instead of the beautiful green of the true globe artichoke. 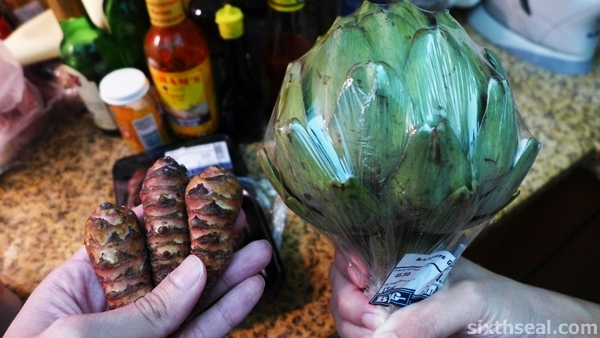 Here’s a photo of an artichoke with Jerusalem artichokes side by side. 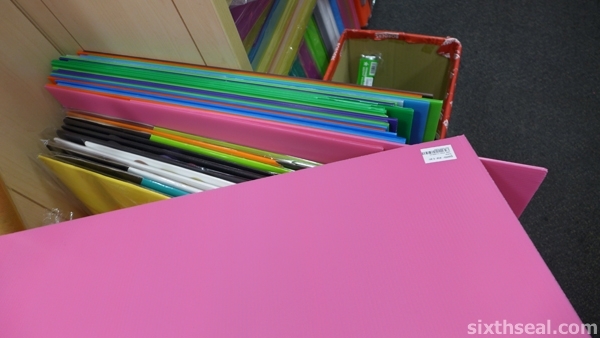 They look very different coz they *are* completely different things. I got both of them while grocery shopping yesterday. 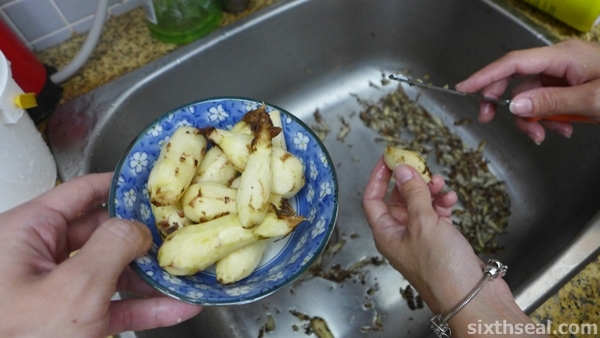 The hardest part about cooking Jerusalem artichokes is the peeling bit. 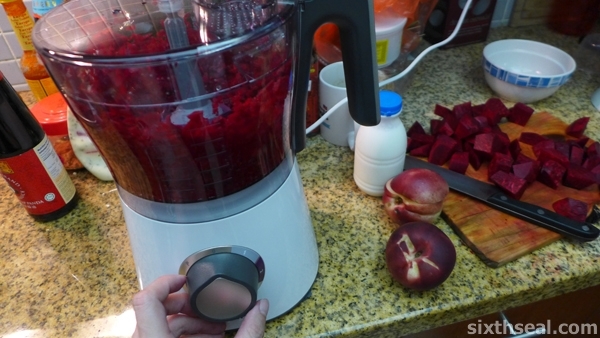 The tubers are tiny and knobbly and it’s really hard to get a grip on the little things to peel away the skin. 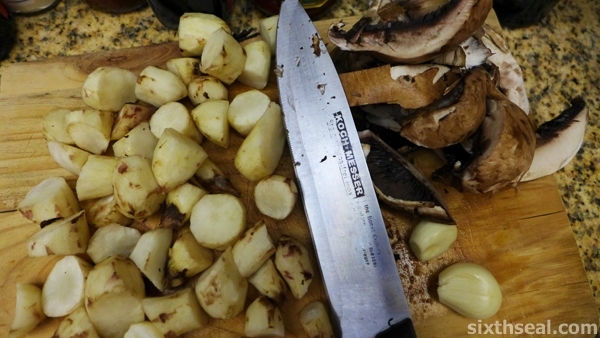 After that labor intensive process is done (enlisted the help of my dear – she volunteered after listening to the choice French phrases I directed at the tubers ) you just need to slice them into chunks. 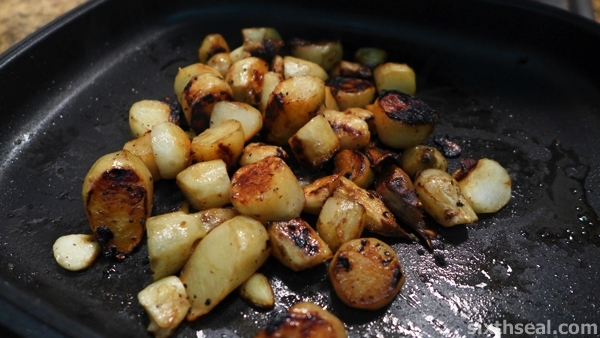 I sautéed the the Jerusalem artichokes in a pressure frying pan with olive oil and some thinly sliced garlic until golden brown before adding in 50 ml of dry white wine (eye-balled it) and putting the lid back on. 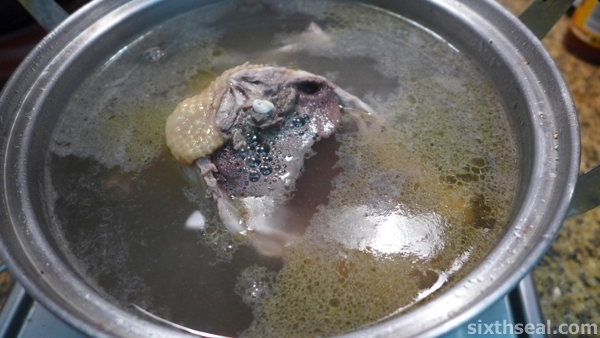 I waited for 15 minutes and then put the sliced Portobello mushrooms in and adding the remaining 50 ml of white wine. I let it reduce (only takes a while coz the mushrooms absorb the wine) and served it up with some basil from our own herb garden. 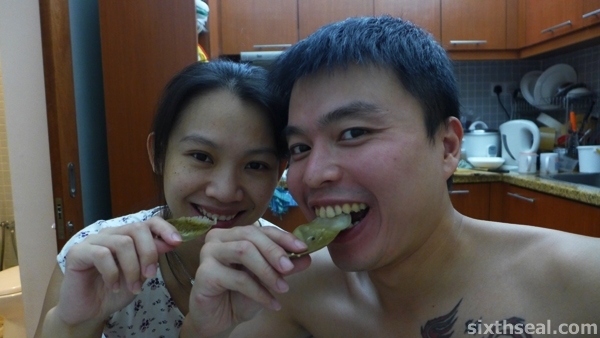 We were both pleasantly surprised by the taste – the Jerusalem artichokes are crunchy and sweet! I thought it was just a bit of sales talk (grocery place-card says the tubers can be sweet) but it really is deliciously crisp and sweet! It’s a delicious dish, but Jerusalem artichokes sells for RM 39.90 per kg over here so it’s more expensive than local offerings. 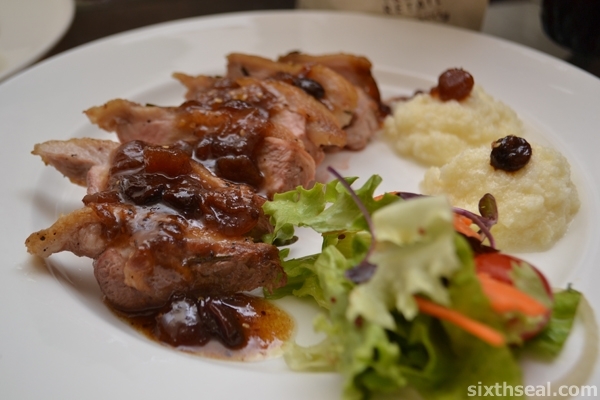 I remember Coke Chicken from the early 90’s when my sister watched her TVB drama series. 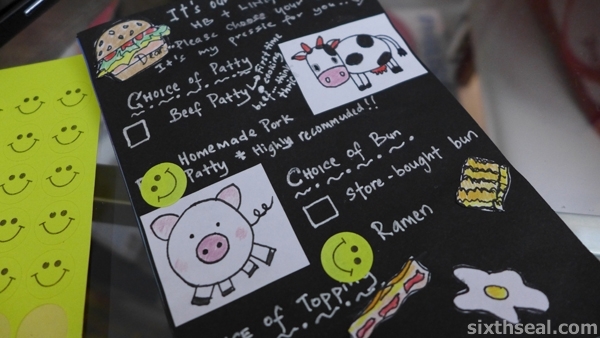 The characters would go to a tai pai tong (an informal hawker stall, totally different from a cha chang teng) and ask for it. 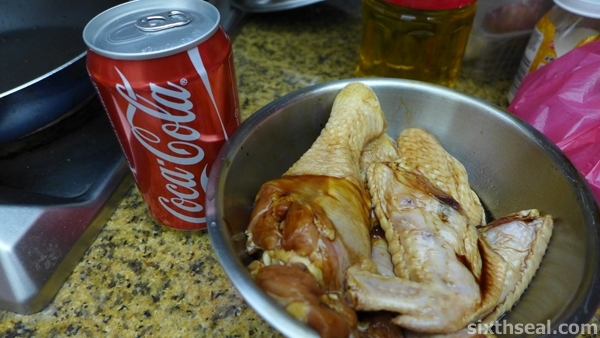 It was the first time I’ve heard of chicken being cooked with Coca-Cola and wondered if it actually *tastes like Coke*. 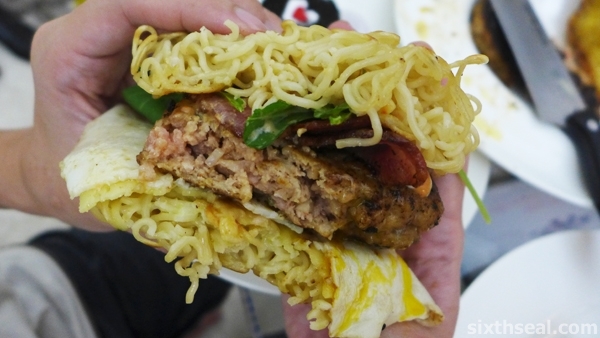 I have not been to Hong Kong at that point so I was intrigued by the sudden explosion in the popularity of Coke Chicken since then. 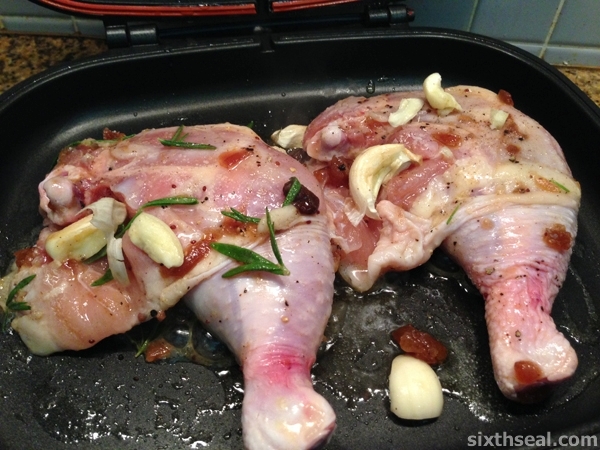 It’s not so popular now (can’t find it in HK) but it’s a very fast and delicious way to make chicken. 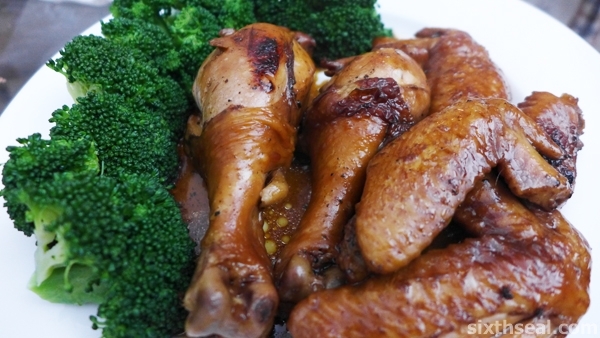 I wanted the drumsticks but Coke Chicken usually refers to wings, or so the TVB series would lead me to believe. 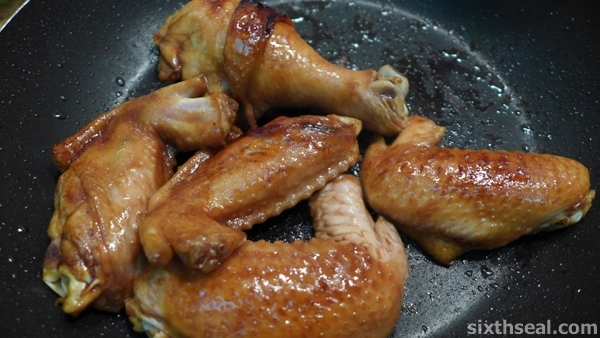 There have been claims that this does not work with Diet Coke due to the (loads) of sugar required to *caramelize* the chicken. 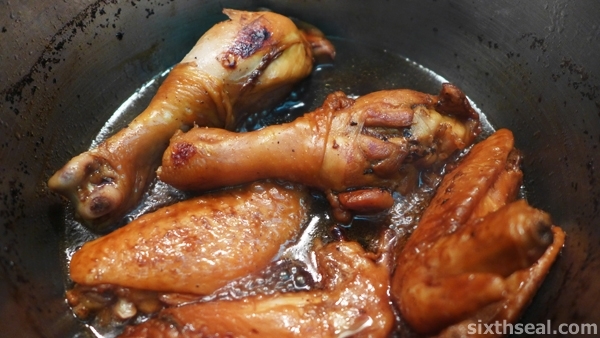 I’ve also heard that the addition of Coca-Cola is for the bicarbonate of soda, which is an *alkaline solution* that can actually change the fibers in chicken meat. 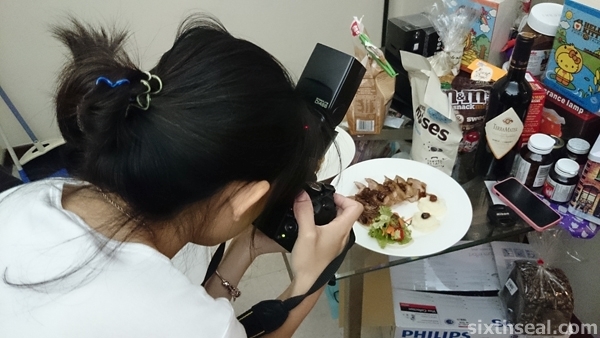 The other camp says that Coke is acidic so it’s ideal as a *marinating agent* to tenderize protein. I don’t know which of the above it true, or none at all. I have found no research to quantify it, just the same words passed on without references. 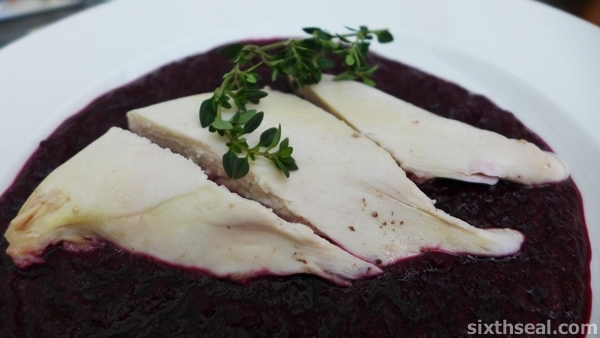 However, this dish is a quick and delicious meal. 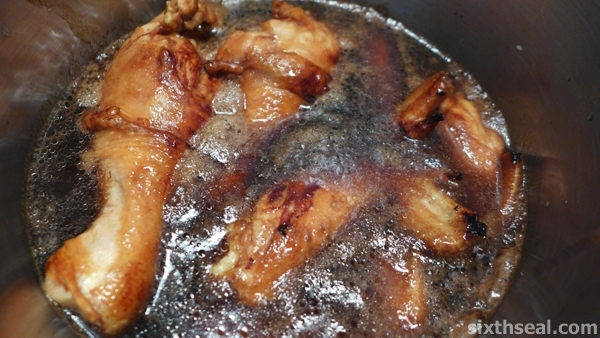 You just heat up the Coke while the marinated chicken is fried till golden brown. 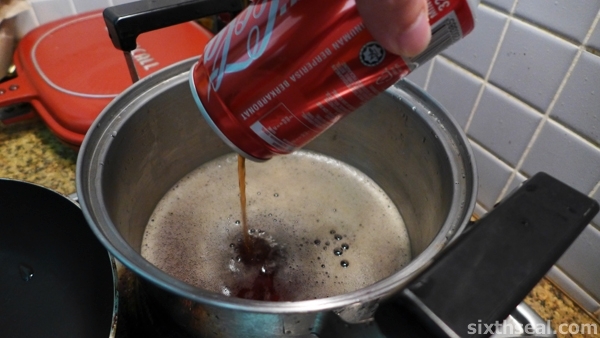 The chicken is then put into the Coca-Cola until it reduces to a thick sauce. 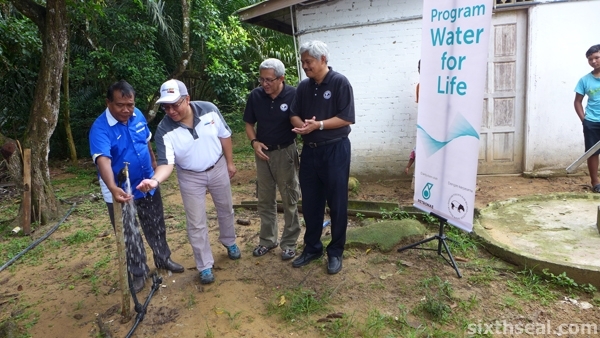 I went to Kampung Jemeri last weekend for the Water For Life CSR (Community Social Responsibility) program, which provides Orang Asli with access to uninterrupted water supply. 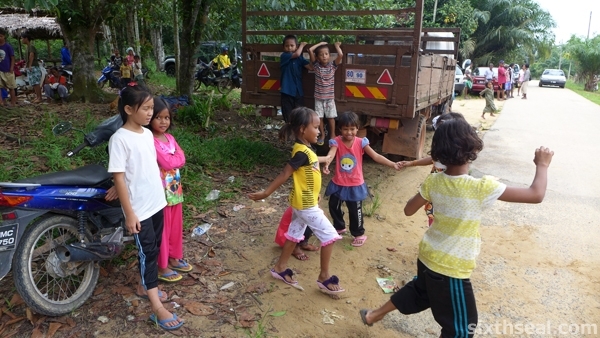 Kampung Jemeri in Kuala Rompin, Pahang is about a 6 hour drive from KL and does not have one of the basic necessities of life – clean water. The entire Orang Asli village has to draw water from a very old pump and when it runs dry, they have to walk half a kilometer to draw water from the well and on days when the water supply was low, they had to make an incredible 5 km trek to reach the nearest river! 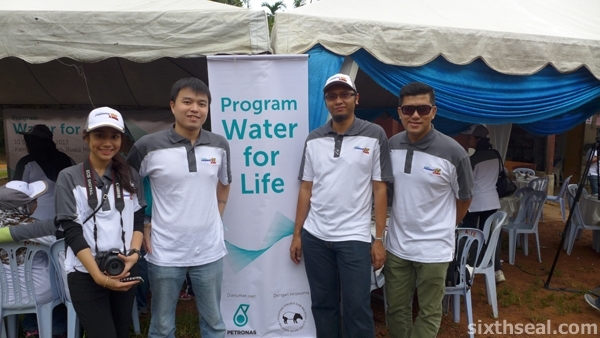 Water For Life is a venture of PETRONAS Dagangan Berhad (PDB) and Malaysian Nature Society (MNS) to ensure that the 131 families in Kampung Jemeri has a clean and safe water supply. 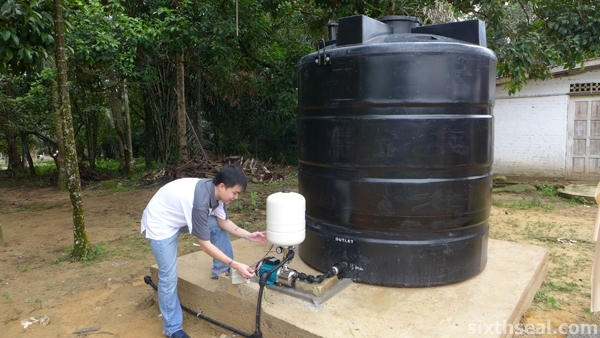 The second phase involves 40 of us from PDB to help them install a rainwater harvesting system. 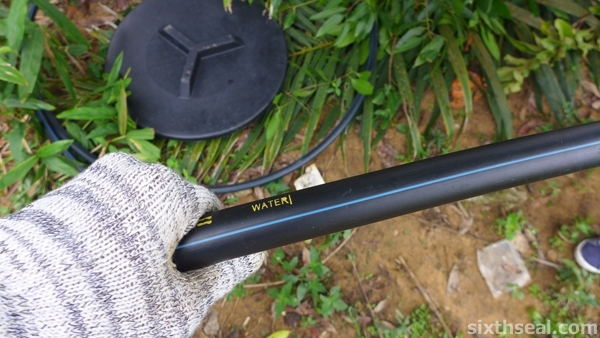 I’ve been to quite a few kampungs in my time but never to one where water is such a scarce resource! 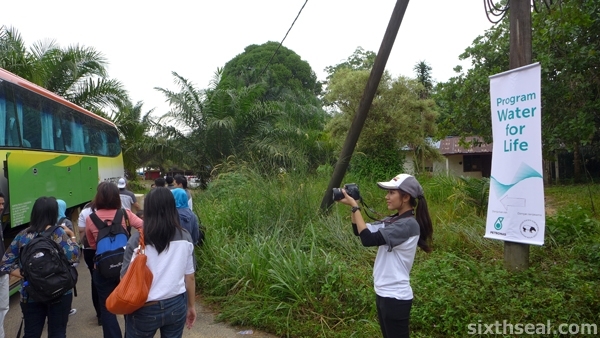 Long houses for Ibans in Sarawak is usually built close to rivers to that isn’t a problem. However, the Orang Asli here doesn’t even have a steady supply of that! 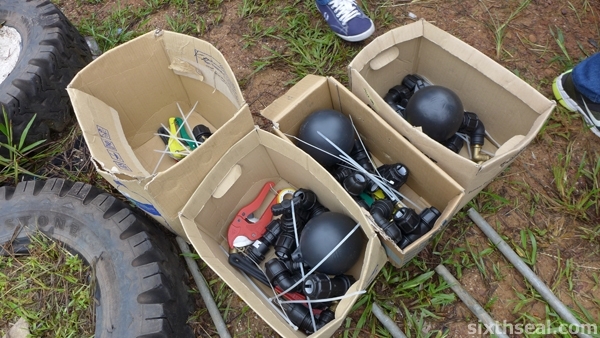 It was quite a pleasure to help them in this – we were all issued heavy duty gloves and a wristband to indicate which of the 4 large 400 liter water tanks we will be assigned to. 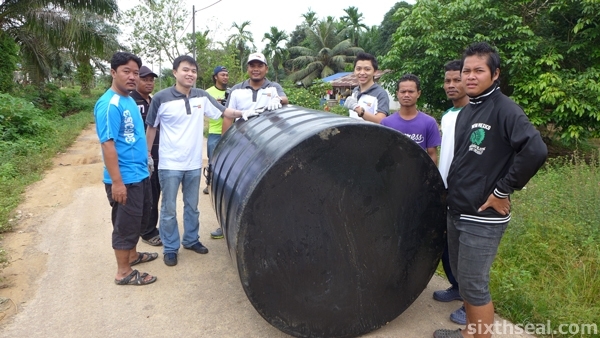 The large tanks are installed in sections throughout the main dirt road of the 131 Orang Asli families in Kampung Jemeri to provide easy access to water for all. 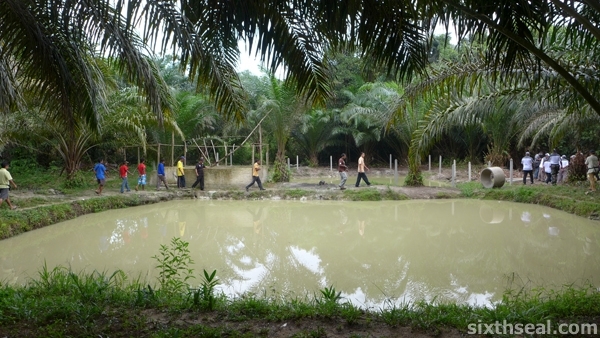 ….two large rainwater harvesting ponds. 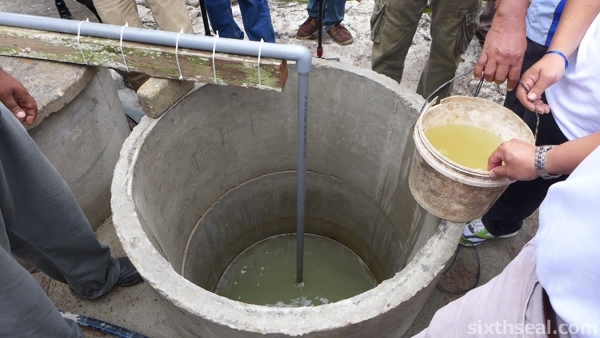 It is then sent up through a system of 100 meter pipes to the other tanks to allow everyone in the village easy access to water – right at their doorsteps. 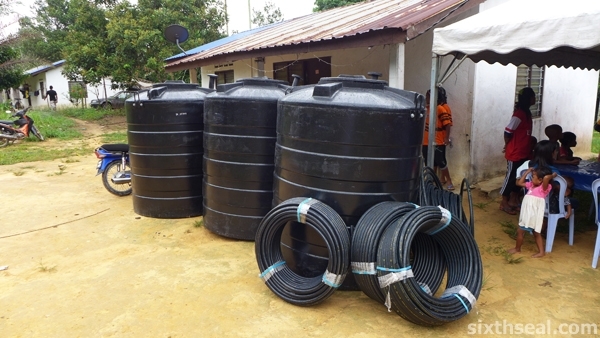 I was assigned to the very last water tank and we hefted it all the way to the rear of the village and did all the installation to accept the sequential water from Tank 1-3. 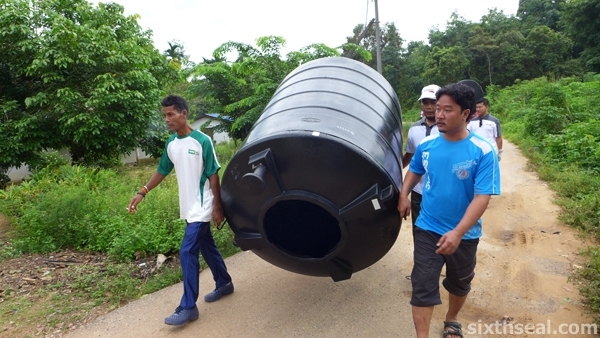 Hauling the water tanks into the village. 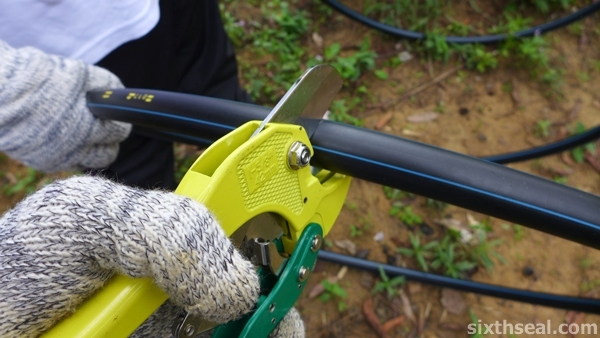 Since we’re at the last station, we had to first run the PVC pipe to the third water tank to hook up with them. 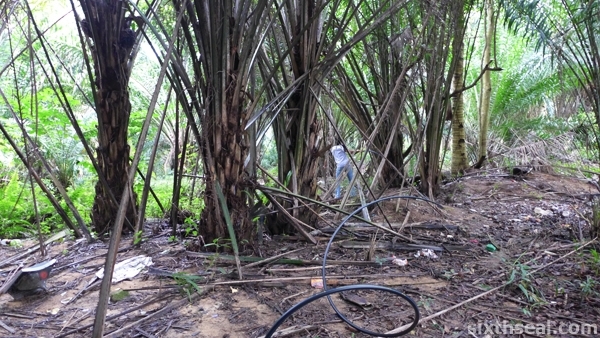 I was surprised to find out that behind the dirt road is primary jungle! 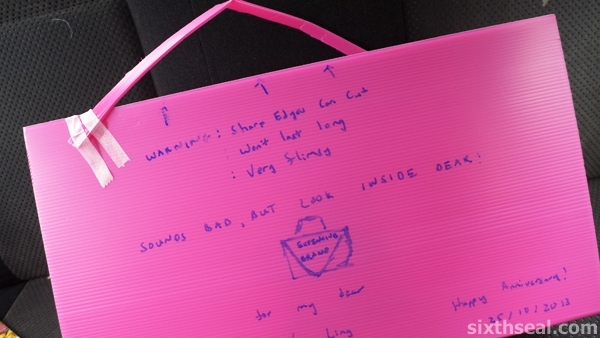 I got quite a few mosquito bites from that but it’s all good fun. 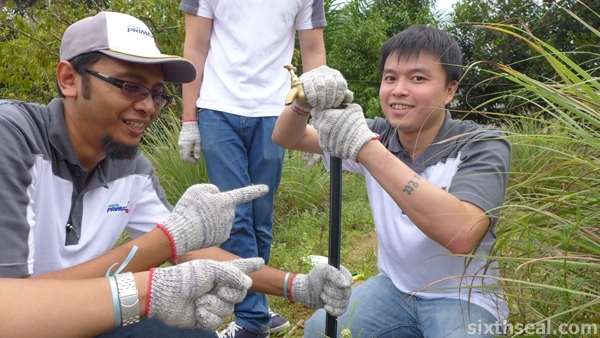 …and also the last mile where I joined the PVC piping to a steed rod and a pipe with a lot of help. The box of tools has somehow been taken back to base camp, which is at least 500 meters away, and none of us wanted to make the trek back (which would tell you how far the villagers have to go for water every single time they wanted it – and get it back) so I used a huge stone to bang the steel pipe into the hard packed earth. It worked even better than a hammer! The principle is much like that of piling in construction. I hefted the rock and let it go while another guy from PDB held it steady. In a minute or so, we managed to drive the entire steel rod in to hold the rest of the PVC and pipe! 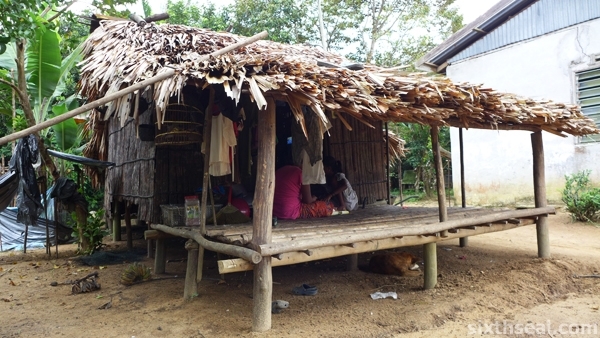 Orang Asli hut! 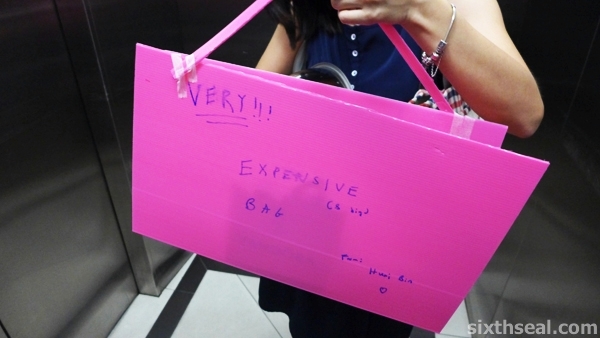 It’s barely 1 meter tall. There’s actually people inside, preparing for lunch. 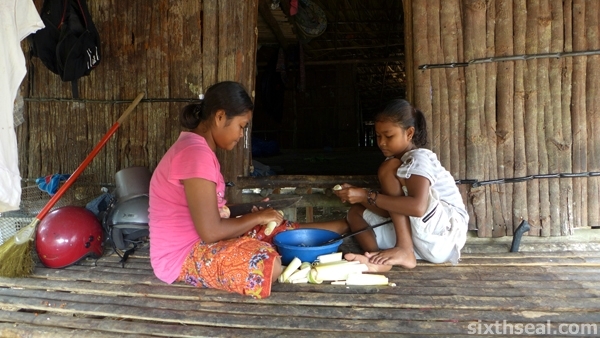 They’re peeling bamboo shoots, which grows in the wild here. 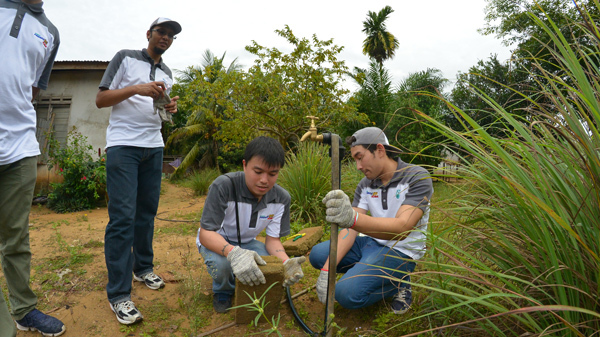 Managing Director and CEO of Petronas DAGANGAN Berhad, Aminul Rashid Mohd Zamzam with Malaysian Nature Society and the village head of Kampung Jemeri in Kuala Rompin. Handing candy out to the local kids. …so all that was needed is to wait for the 4 tanks to fill up. 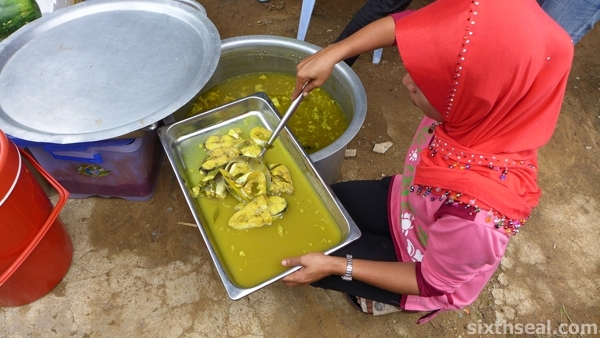 The Orang Asli villagers at Kampung Jemeri held a veritable feast for us, with local delicacies like ikan tenggiri masak tempoyak. There’s also a fiery sambal that Dina asked me to try and I immediately got hooked on. I ate a lot of that homemade sambal with ulam (raw vegetables). 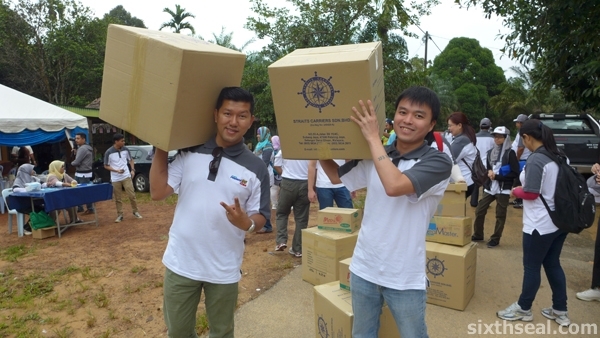 However, the best part of the day was getting dirty and sweaty in helping these less fortunate folks get one of the basic necessities of life – water. 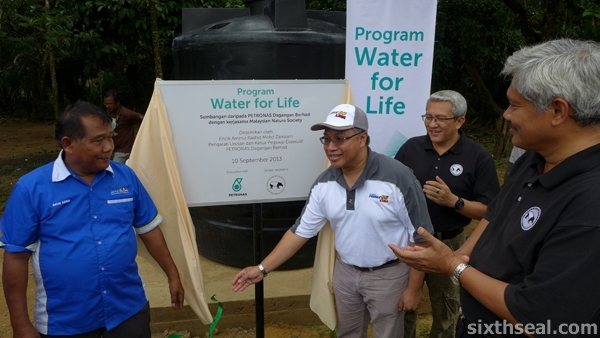 I’ve gotten a glimpse of how the Orang Asli in Kampung Jemeri lived and I’m glad I was part of the Water For Life initiative to help then get clean access to water. 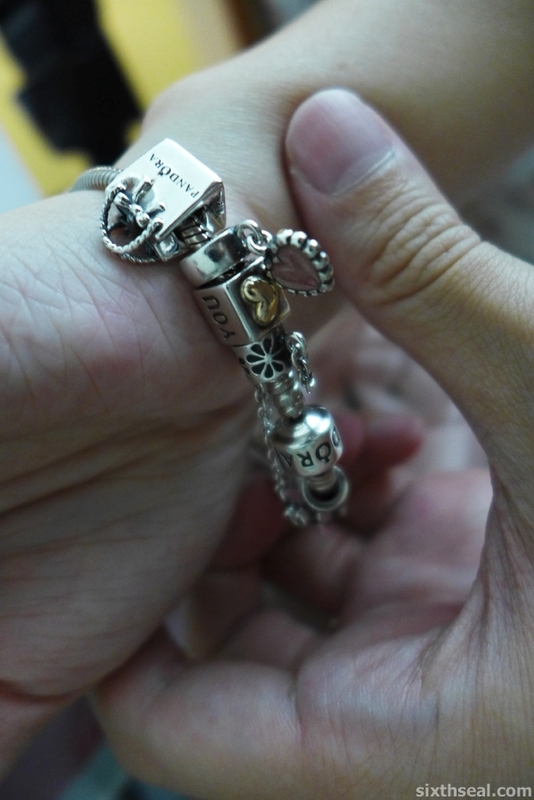 It’s a very good feeling, doing community work like this. 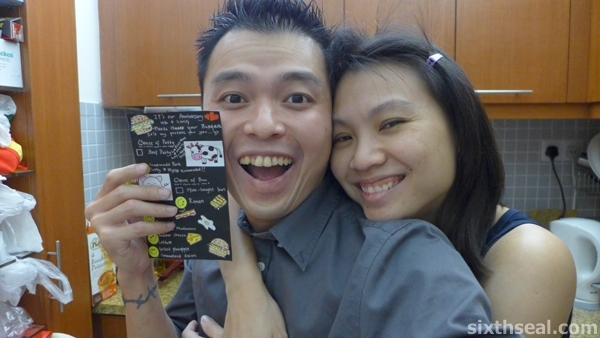 This is a dish that I made for my better half during our anniversary. 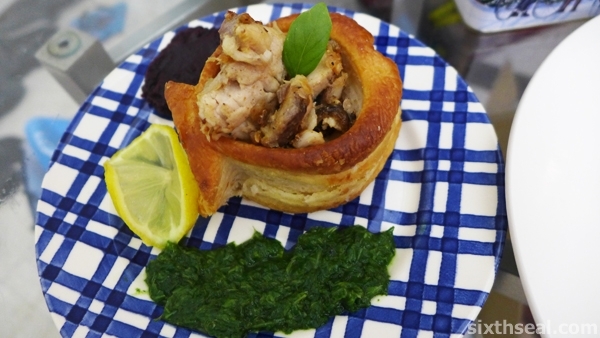 It’s basically fish inside a fish pastry case! 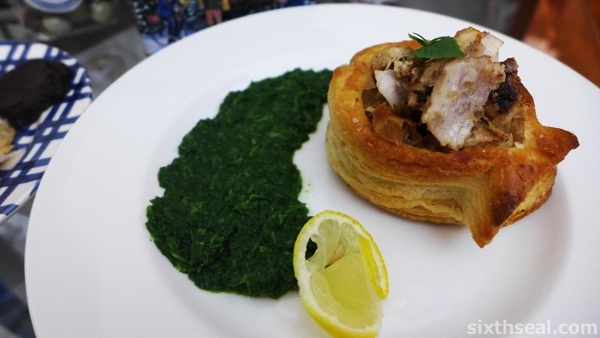 :) Bouchee is a small flaky pastry shell and the word poissons means “fish” in French. 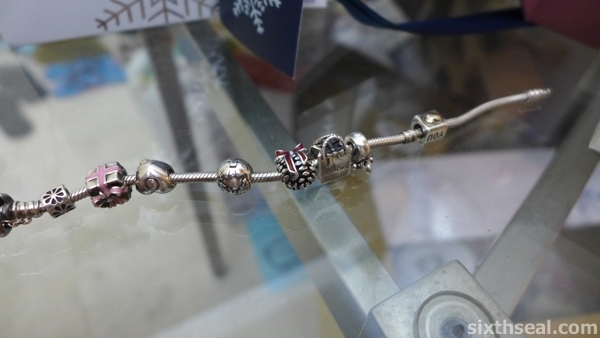 There’s apparently only one manufacturer who makes bouchees poissons from a Google Image search. This is my interpretation of Bouchee a la Reine – a French pastry dish but without the bechamel. 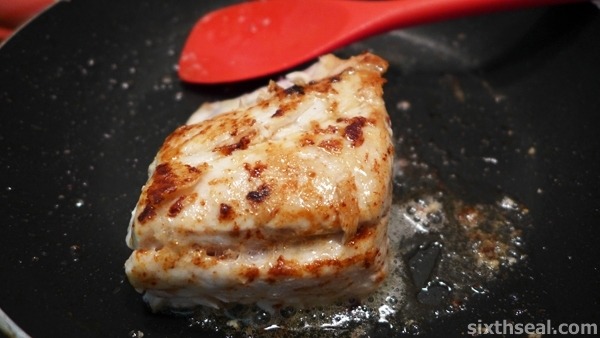 I pan fried the King Grouper with lots of butter to produce a nice sear before removing it from the pan. 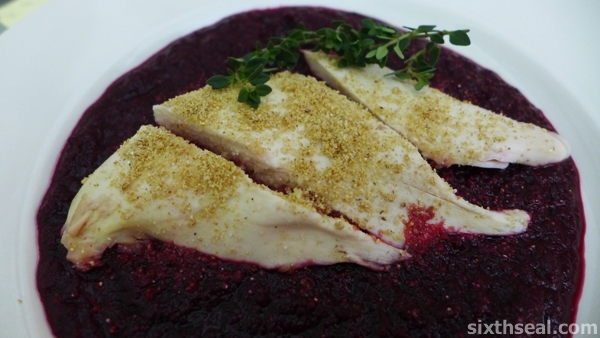 The next thing I did was to break down the fillet of King Grouper into smaller pieces so it’ll fit into the fish pastry shells. 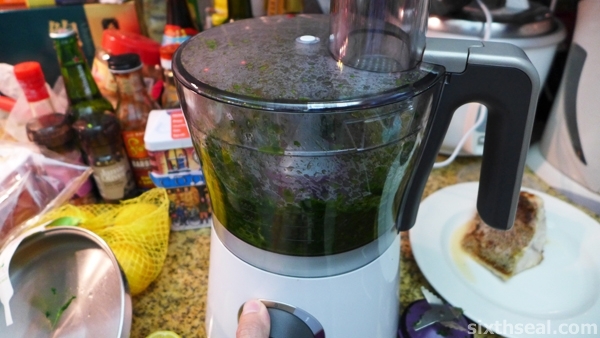 I decided to play with my food processor and make an arugula and applemint puree. 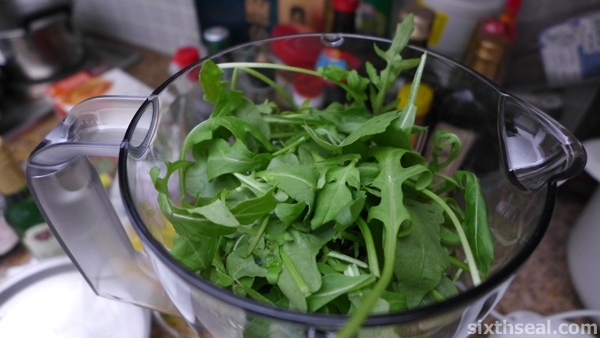 I had read up on it and blanched the arugula in hot water quickly before removing it and adding lemon juice so it retains that *bright green* color. 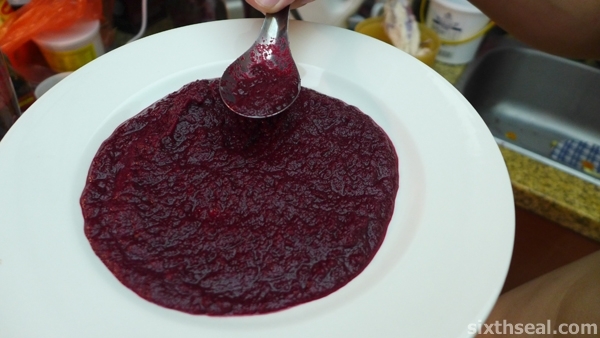 However, the arugula and applemint puree turned out to be a bit of a disaster. 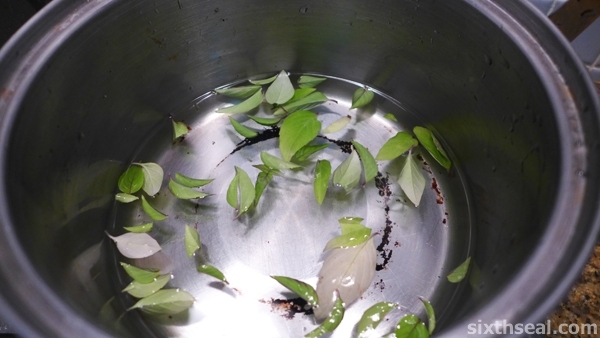 There was just too little of the wild rocket leaves. 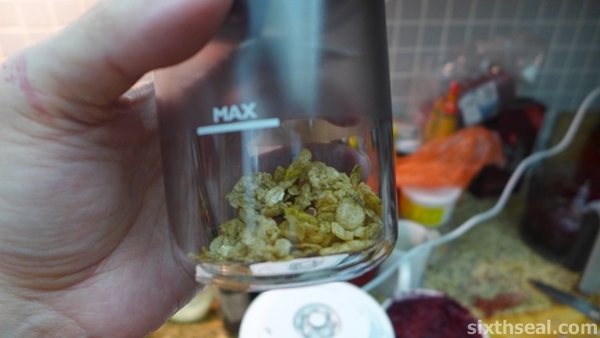 80 grams got processed into barely two tablespoons of watery “puree”. It did taste good though – the acidity from the lemons and the addition of applemint really makes it pop. 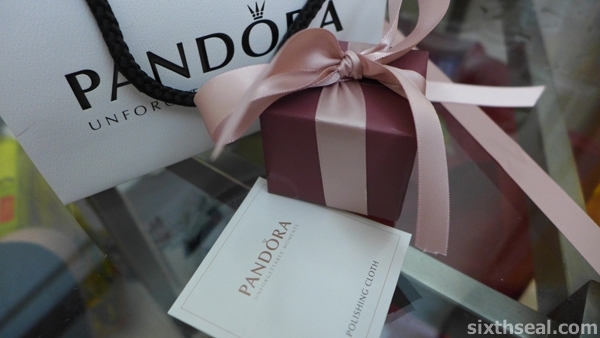 Sorry if that oft-repeated pretentious term made you cringe. It made me laugh while typing it too. 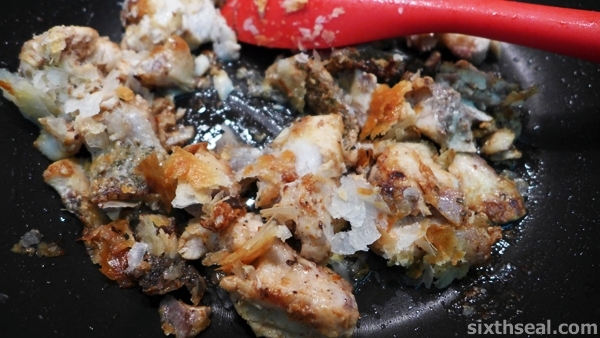 I had the impromptu idea of removing the insides of the bouchees poissons to the white wine reduction sauce and small pieces of King Grouper so there’s pieces of flaky pastry to soak up the liquid. 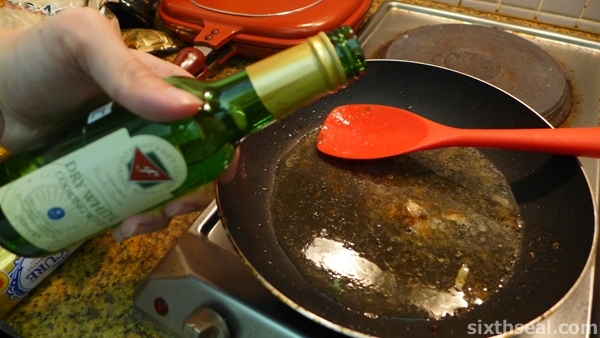 This has the added benefit of heating up the fish before serving.